Emu Oil - Nutrition For Your Skin, Joints and Muscles! Give Emu Oil A Try Today! Free Report: Discover what Emu Oil can do for your skin, joints and muscles. Also, learn the many other benefits of this amazing, all natural, highly effective oil. Welcome to Denis Baker Emus and the interesting and exciting world of Emus and Emu Oil related products. If any of the numerous problems listed below are causing you pain and discomfort then Your Life Just Got Better. Long known for its pain relieving, anti-inflammatory, deep penetrating, fast penetrating, moisturizing, soothing, softening and healing properties, Emu Oil really is an amazing, all natural, highly effective oil. Great for: Rough, Dry, Itchy Skin. Joint and Muscle Pain and Stiffness. Skin Care and Skin Disorders. Burns, Wounds, Sores and Scars. Arthritis, Bursitis, Tendonitis and Rheumatism. Thin Skin, Wrinkles and Age Spots. Psoriasis, Eczema, Dermatitis and Rashes. 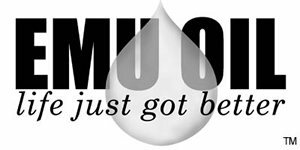 Learn what so many other people have learned, Emu Oil really is a modern day miracle. One of natures best kept secrets. Nutrition for your skin, joints and muscles. No other oil offers the versatility and benefits that Emu Oil does. No medicine cabinet should be without it. You owe it to yourself to give this unique and fascinating oil a try today. Emu Oil is an excellent product. Good for a wide array of applications. Once you have tried it, you will agree that with Emu Oil - Life Just Got Better! Choose which size bottle of AEA Certified Fully Refined Pure Emu Oil you would like to order and click Add to Cart. When you have finished your shopping, click on the View Cart and then Checkout button to complete your order. Quantity can be adjusted from within the Cart. For detailed information on any of the products simply click on the item. For A Listing Of All Of Our Emu Oil Products Click Here. Visa, Master Card, Discover, Pay Pal, Checks And Money Orders Accepted. Shipping $5.00 inside USA $15.00 outside USA. Customs Fees are the responsibility of Buyer. All Products Contain Pure Emu Oil. Purple Emu Emu Oil is available by clicking Order Here and on many other pages of this website. Mention the season Spring of 2019 in the comment section of your Emu Oil Products Order Form and I will send you free of charge a little something extra along with your order. Emu Oil is currently available locally in Bastrop, Louisiana at Pearce Pharmacy and Lee's Pharmacy. Emu Oil is also currently available in Monroe, Louisiana at Thurmanize on Hudson Lane. Featured use for Emu Oil this month is Rough, Dry, Itchy Skin. The special this month is Purple Emu All Natural White Satin Body Cream for Extra Dry Skin 2 oz. Jar. The Extreme Dry Skin Solution. Regular price $27.00. Special price $23.00.